Today’s Flash Back Friday comes from Episode 164, originally published in August 2013. 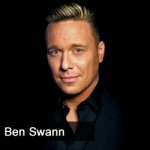 Ben Swann is an award winning journalist who is currently a prime time anchor on WXIX, the Fox affiliate in Cincinnati, OH. Ben is a rising star and touted by many as someone who will dominate “alternative media” in 2013 and beyond.Ben’s weekly investigative piece, dubbed “Reality Check” attempts to go beyond the headlines of the biggest national stories and uncover the truth by giving his viewers the details that mainstream media is leaving out of their coverage. This segment far transcends his local viewing market and has earned Ben millions of YouTube views, and near 100,000 Facebook fans (or likes) on his two combined pages. In Ben’s budding career, he has won an Edward R Murrow award for Investigative Journalism and a Lone Star Emmy award in 2005. Although highly sought after by cable news and national network news, Ben has decided to take his own path and use his grassroots fan base to crowd-source an investigative journalism and alternative media project. More details will be available for this project will be available in June of 2013.